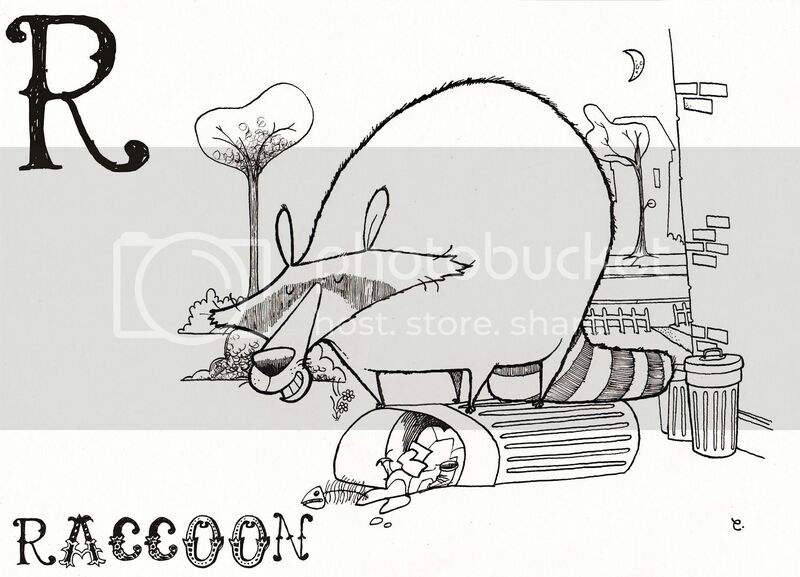 ...those loveable trash-eatin', rabies-gettin', grandmother-bitin' rabscallions themselves, the raccoon. 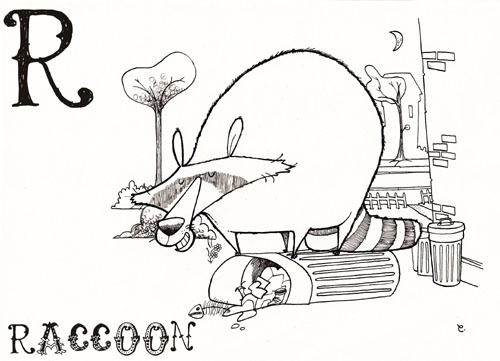 North America doesn't know how lucky it is to have raccoons. The only smelly things with rabies that go through the bins, live in the chimneys and give people rabies in this country are hobos and Conservative Members of Parliament. If you'd like an A4-sized version of this to print out, colour in and get rabies off of, then you can download one HERE. By the way, apparently Cyril Sneer was an aardvark. But I am highly sceptical.